Join The Canadian Canoe Museum for a unique opportunity to sample campfire inspired cuisine prepared and served by local culinary experts while listening to the sensational sounds of The Dixie Hicks (Kate Brioux, Melissa Payne and Kate Suhr) and strolling through the galleries of The Canadian Canoe Museum. Guests will be invited to participate in a live auction featuring paddles designed and painted by local artisans and Canadian celebrities. Funds raised through the event will support the award-winning educational and public programs offered at the Museum. 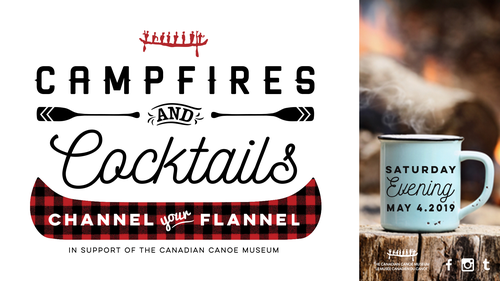 Tickets are $75 per person and are available now on a first-come, first-served basis at canoemuseum.ca/campfires-cocktails.